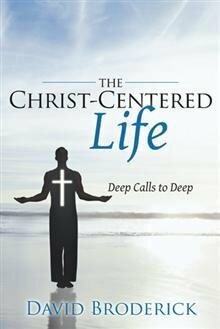 “The Christ-Centered Life: Deep Calls To Deep” shows how to begin the journey to becoming Christ-centered in your own life, and then how to daily live from the Christ-centered worldview. This is a radically different way to live than many Christians have experienced, because so many Christians and churchgoers see Christianity as a belief system, rather than as a love relationship. The book is deep as the subtitle suggests, but it is also practical in pointing the way to Christ-centered living. It contains no theological language and is accessible for everyone who wants to know Christ in a deeper way. The foundation of the book is that depth of relationship with Christ is for everyone. The starting point of “The Christ-Centered Life: Deep Calls To Deep” is both simple, and yet profound. It is that heaven is the presence of Christ — a presence that can be experienced right here, right now. The book begins from the point where other books often finish, and it leads readers to the goal of a continual lifestyle of intimacy with Christ, but it does so by following a path that is deeper and more real. The book makes the path to Christ-centeredness available to everyone, right here, right now. Christ is for now, not just for heaven. The reality of both human and Christian life is that we must be constantly growing towards a deeper maturity of relationship, no matter what our present age is and what our experience may be. We cannot exhaust the depths of the knowing of Christ, and we must never think that we know all there is to know. Our personal experience and knowing of Christ must be ever deepening. We must never be satisfied by thinking that we know it all and have seen it all. To stand still in our knowing of Christ is to risk becoming entrenched in a belief system and then to defend it against what we see as “heresy”. To stand still in our experience of Christ is to risk closing ourselves to the new things of God that we can know personally and receive. To stand still in our present view of things is to be in danger of criticizing and judging those people who seek the deeper, the wider, and the higher. Remaining the same, day after day and year after year, is simply not an option. That is as true in our relationship with Christ as it is in our relationships with family, friends and other people. We need to be ever growing towards a more mature perspective. Furthermore, a newly gained mature perspective does not render an previously held perspective as wrong or fake. It simply says that it is time to grow into a new experience, it is time to grow into a new knowing, and so it is time to grow into a new understanding. It is experience that leads to understanding, not knowledge. Part of growing toward a mature perspective is recognizing the way things actually are, rather than the way they merely appear. This is a very important part of growth. Why, then, are Christians so often content to remain as they are in experiencing God, while they do not accept such stagnation in any other areas of their lives? In the physical world in which we live, when children stop growing or healing, all the alarm bells start ringing. Why, then, do we accept a church culture in which it is the norm for Christians to remain stagnant, neither growing nor healing for years or even for decades, and yet no alarm bells are ringing? Why are alarm bells not ringing for those people whose experience with Christ has not grown or matured over years or even decades? This book aims to get every reader seeking to know Christ better — whatever the cost. I wrote this book to address the need that many Christians felt for something deeper than they currently experience in their Christianity. I so often heard people crying out for more and wanting real depth. Having taught Christ-centeredness for many years in church, I felt it was time to bring that depth to a much wider community through the book. ‘The Christ Centered Life: Deep Calls to Deep’ is, above all, a Christian book that offer readers a practical approach to living a Christ-centered life on a minute-by-minute and day-by-day basis. It shows the reader how to create a lifestyle of Christ-consciousness right here and right now, today. While many Christians believe that heaven is just a future place where we will will one day be, this book shows us that heaven is right here, right now; because heaven is the presence of Christ. Heaven is not a future goal. Heaven can be now. It requires not so much a discovery, but rather it requires our acceptance that leads to new thinking and new practice. Our most important thinking is heart-based – not head-based. The book will challenge, encourage, stimulate, feed and strengthen the Christian who wants to continually draw nearer to Jesus the Christ and who wants to get to know him in an ever-deepening intimacy. It is deep as its subtitle suggests, but it is accessible to everyone who desires to know Christ more. Heaven can be now. The book’s opening section contains some personal information about my own struggles during my own life journey into Christ-centeredness. This section also takes a new look at the growing years from birth to adulthood and questions whether we have the best way of looking at things, and it also considers what the paths of growth should really look like. This leads to me asking if ‘failure’ is a word that should really be removed from a Christian’s vocabulary. Indeed, perhaps the word ‘failure’ should be dropped from human language altogether. Children can be so easily devastated by ‘failure’. It is far too easy to tell someone that they have ‘failed’, instead of encouraging them in what they have achieved and then helping them to do even better. The book takes a different look at the fruit of the Spirit, and considers what it is not, as well as what it is. It also considers what it means for us to be heart-driven instead of head-driven, and this is so very important – as I hinted earlier. In the West, we are so controlled by a Greek logical mindset that we are in great danger of not valuing the heart. Then it considers how easily we engage in blame-shifting and looks at how we prepare ourselves to pass the buck – vindication – when things do not go to plan or we ‘fail’. In this section I speak honestly about my own personal battle with vindication, and how unaware I was that it was in me – never mind that I needed to be free of it. This section also looks at the importance of realizing – making real – our relationship with Christ, so that our lives are real. There is so much more in this opening section of the book. The book then moves on to examine the Law of God as contained in the first five books of the old covenant Scriptures – not just the so-called “Ten Commandments”. The book reveals that the law has been deeply misunderstood by Gentiles through the centuries, both because the Jewish context of the law has been lost (if we ever had it) but also because a Western understanding has been imposed backwards onto the text. It presents a new view of God’s law that may surprise even Jewish believers in Christ. It also sheds completely new light on “The Lord’s Prayer” and the new covenant in Christ. The book’s section on prayer looks at many aspects of prayer from a Christ-centered perspective. It considers praise, worship, visions, dreams, intercession, paths of growth, the power of God, the Scriptures, meditation, the voice of God, Christ’s presence, and the Tabernacle. This section greatly widens the definition of prayer and considers, among other things, that heart communication is more important than mind communication. For example, a newborn baby cannot have a conversation with you – but it can touch your heart very deeply; especially if you gave birth to that baby. There is a section on Christ-centered marriage, which includes an important chapter on what happened at the fall – a very important study before thinking about the issue of women in leadership that is addressed later in the book. The Christ-centered marriage section also looks at growth, healing, the languages of love, and the marriage leadership team. There is a lot of practical guidance about enhancing the marriage relationship for those who are about to get married and those who are newly married. However, all married people can benefit from the book’s deeper understanding and practical guidelines. There is a section on Christ-centered leadership, which explores in depth the issue of women in leadership and comes to a purely Scriptural conclusion. It also considers the importance of God’s call, who and what we are called to be, the difference between power and authority, and it looks at Jesus and learns from him. Leadership is such a critical issue in church today. Finally, the book takes a fresh look at the gospels from a Christ-centered perspective, and it especially looks briefly at Mark’s gospel. This Christ-centered look at the gospels shatters the strange idea that the gospel writers were all evangelists as it takes a completely different and new view of them and what they were trying to do in writing their gospels. The book is deep – hence the subtitle of “Deep Calls to Deep” – and it is not a book that can easily be read quickly. It is perhaps best explored in small chunks while taking time to chew over what has been read in order to properly digest each section before moving on to the next. David welcomes feedback from readers, and you can email him through the link at the top of each page, or from the ‘Contact’ page. David is also on Twitter and LinkedIn.